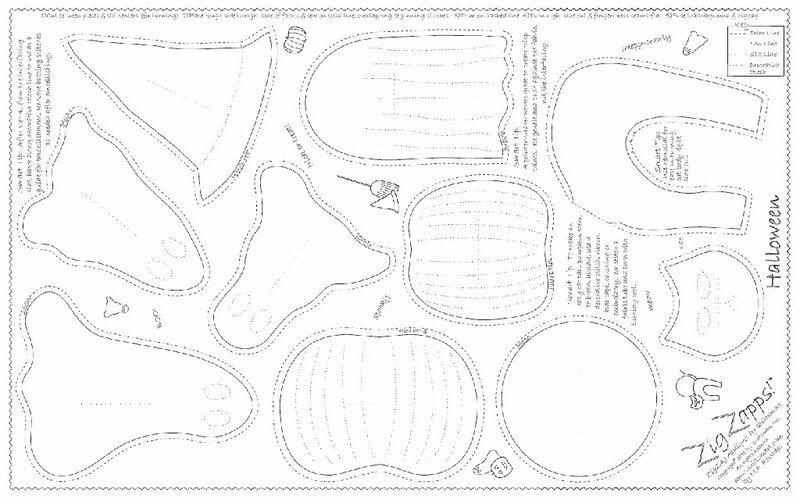 Just cut, stitch, trim, and turn to make fusible appliques for all your sewing projects! Three ghosts, one witch hat, one cat, two pumpkins and one moon per panel. Instructions and tips printed on the interfacing. Five 12" x 18" fusible interfacing panels per pack.